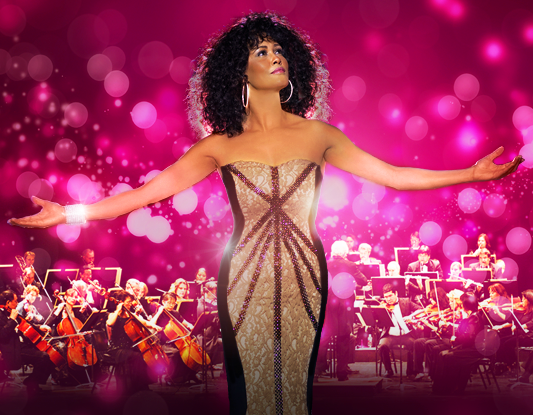 Performing a very special season with full orchestra for the first time in South Africa, Whitney’s musical legacy is brought to life in this critically acclaimed tribute concert described as “mind-blowingly spot on”. Be stunned by the breathtaking vocals of South Africa’s own Belinda Davids – a RiSA chart-topping artist who has performed alongside the likes of Keri Hilson, Keyshia Cole and Monica and featured on Fox TV’s ‘Showtime at the Apollo’ and BBC1 TV’s ‘Even Better Than the Real Thing’. With the accompaniment of a live orchestra and band, backing vocalists and choreographed dancers, plus state-of-the-art sound, lighting, vision and theatrical effects, this is a beautifully crafted tribute to one of the world’s most revered singers. *This production is presented by Showtime Australia which is not affiliated with the Estate of Whitney Houston.